Exclusive! Glitz and glamour! 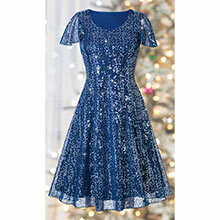 Give this stunning, flutter sleeve, sequined party dress a twirl! 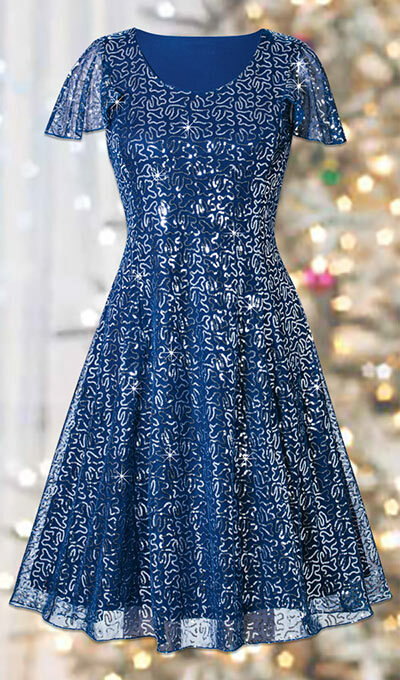 Featuring an ultra-feminine scoop neckline, side seam zipper and fun, flared bottom hemline for extra flounce, this is a party dress with real appeal. Enhanced with a dazzling, all-over sequin embellishment, it's a head-turner! Polyester. Imported. Gentle wash. Misses, approx. 44"l.